We knew it was coming and now it is confirmed. Soul of Chogokin Titanus is coming soon. 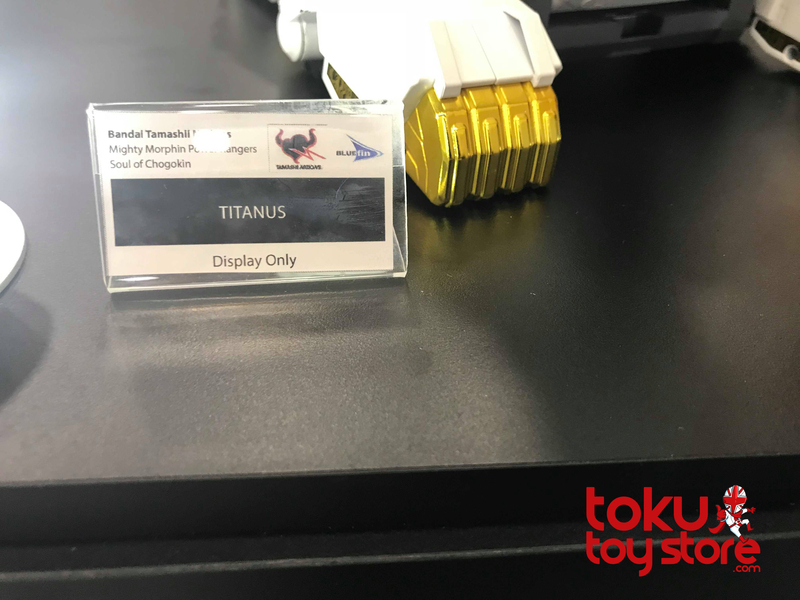 Bandai Tamashii Nations are in the process of setting up their space at Power Morphicon but we can confirm that one of their main display pieces is a prototype Soul of Chogokin Titanus. With this release, all 3 of the Zord/Megazord forms from Mighty Morphin’ Power Rangers Season 1 will have been released in this ultimate, die-cast style. More details to follow, when available. What do you think of this news? Will you be ordering a SoC Titanus? Sound off in the comments! Legal Note: All photographs are property of Toku Toy Store. You are welcome to share the photos freely but must include a prominent link to this article when doing so.